Be the first to share your favorite memory, photo or story of Bennie. This memorial page is dedicated for family, friends and future generations to celebrate the life of their loved one. Rev. 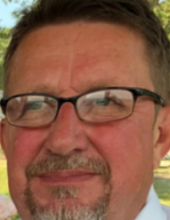 Bennie Lee Fields, age 60, husband of Debbie (Robinson) Fields of Tyner, Kentucky passed away Saturday, March 23, 2019 at his residence. He was the father of Shonna Sizemore and husband Phillip of London, Kentucky, and Benjamin Joshua Fields and wife Teena of Roanoke, Virginia; the brother of Kermit Fields and wife Janice, and Earl Dean Fields and wife Shirley all of London, Kentucky, and Jennings Fields and wife Phyllis of Fogertown, Kentucky. He was also blessed with three grandchildren, Keaton Sizemore, Carter Sizemore, and Kyra Sizemore all of London, Kentucky. He was preceded in death by his parents, J.B. and Zola (Murray) Fields; and by his sister, Vietta Fields. Funeral services for Rev. Bennie Lee Fields will be conducted Tuesday, March 26, 2019 at 2:00 p.m. at Freedom Point Church of God, Corbin, Kentucky, with Christopher Shawn Fields, Dale Payne, Sean Disney, and Phillip Payne officiating. Entombment will follow at A.R. Dyche Memorial Park. The family of Rev. Bennie Lee Fields will receive friends at London Funeral Home from 5:00 p.m. until 8:00 p.m. on Monday, March 25, 2019 and from 1:00 p.m. until the service time on Tuesday, March 26, 2019 at Freedom Point Church of God. Serving as pallbearers are: John Martin, Rick Crawford, Chris Fields, Russell Fields, Keaton Sizemore, and Carter Sizemore. To send flowers or a remembrance gift to the family of Bennie Lee Fields, please visit our Tribute Store. "Email Address" would like to share the life celebration of Bennie Lee Fields. Click on the "link" to go to share a favorite memory or leave a condolence message for the family.